Hang cleans are a critical exercise for the development of Olympic weightlifters, CrossFitters, and sports athletes. Increased power production, athleticism, and explosiveness are all key outcomes of this clean variation. Therefore, this article is geared to increase your understanding, technique, and overall performance in the hang clean. Who Should Do the Hang Clean? The below step-by-step guide discusses how to perform the barbell hang clean (receiving into the full squat position). The hands should be slightly wider than shoulder width. Coach’s Tip: Stand tall and keep the back flexed. With the knees slightly bent, push the hips back to allow the bar to drop lower into the hang (hang heights can vary). Be sure to not shift weight into the toes or too much into the heels, but rather stay balance. Keep the bar close to the body and the chest and shoulders over the bar. Coach’s Tip: Keep the chest over the bar. As you reach the bottom of the hang position (above the knee, below the knee, slightly off floor), aggressively pull (push through the floor, pull up with the traps and back) the bar upwards while keeping the chest over the bar. Keep the bar close and stay over as you finish the bar all the way to the high thigh/hip crease. Coach’s Tip: Again, stay over the bar. As the bar makes contact at the high thigh/hip, you should forcefully pull the elbows upwards to transition the barbell to the front rack position. Too often lifters will bang the bar out instead of continue to pull up. Receive the barbell in the front squat position, making sure to keep a full grip or hook grip on the barbell as you you aggressively punch the elbows under the clean. Once secured in a low and stable position, stand up and repeat. Loosening the grip during the turnover phase may result in a poor and unstable front rack receiving position. 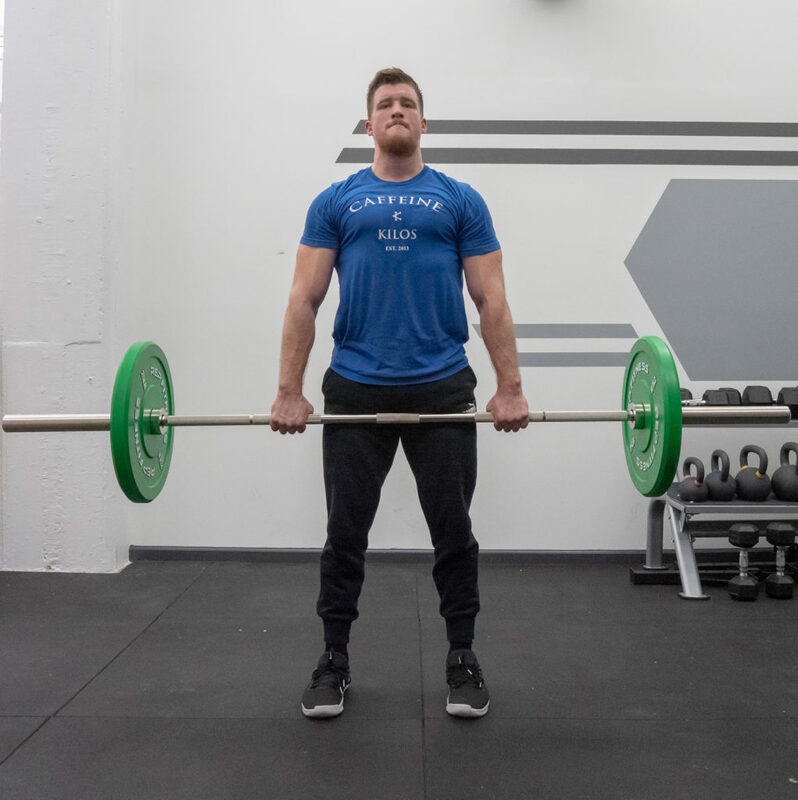 Below are three (3) benefits of the hang clean, each discussing why you should start to include hang cleans into your training program as a weightlifter, CrossFit athlete, fitness enthusiast, and sports athlete. Yup, in the most broadest of ways, cleans (and snatches) will help you increase muscular coordination and athleticism. Big bodied movements that are explosive in nature often produce amazing results in power and force output, kinesthetic awareness, and neurological adaptations needed to train harder, run faster, and and be a more explosive athlete. The hang clean is a good clean regression for coaches to teach all level lifters and sporting athletes, as it is a shorter range of motion and allows for greater emphasis on powerful hip extension (often the purpose of it when found in strength and conditioning programs for formal sports). 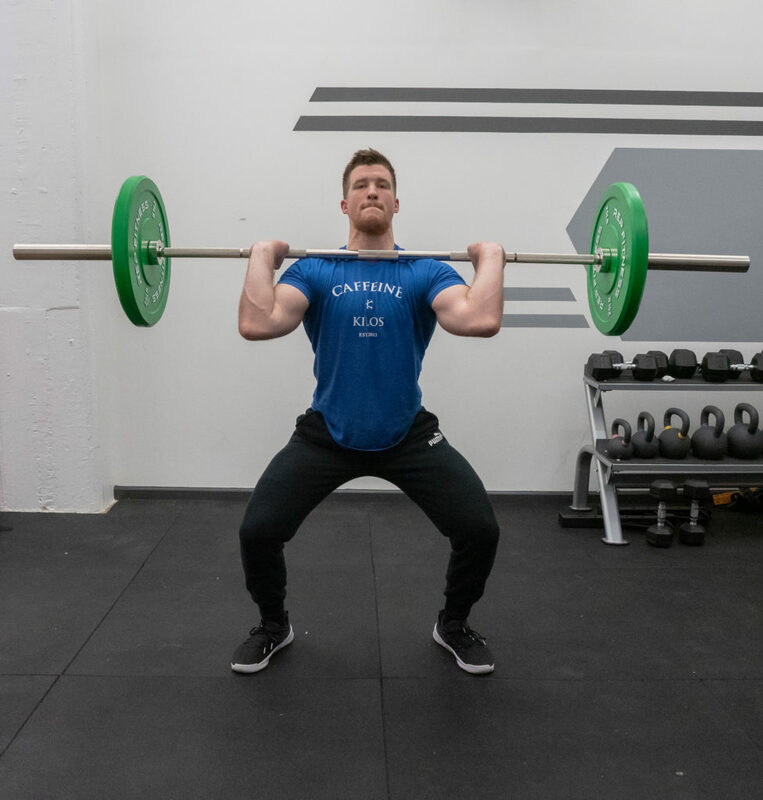 The hang clean works to specifically increase a lifter’s ability to promote power and sound timing of the barbell at the hip as he/she finishes their pull. 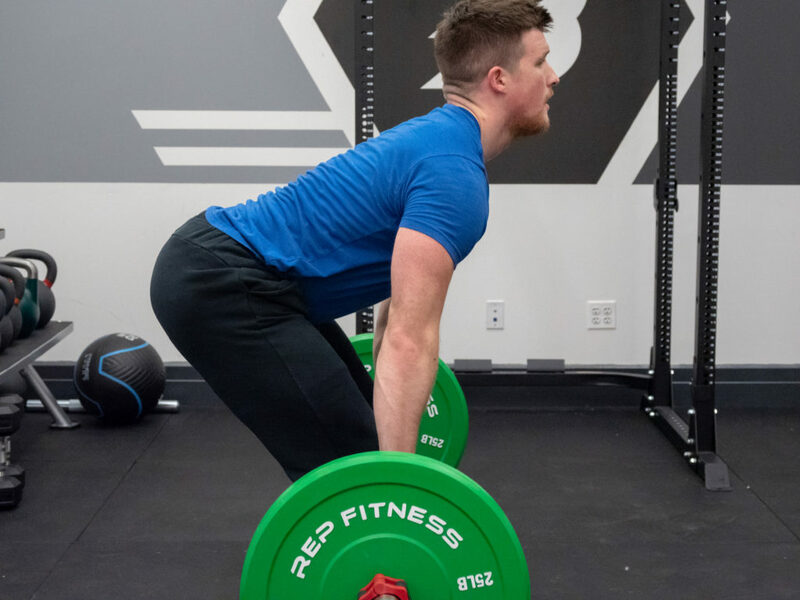 Unlike the full clean, the hang forces a lifter to stay over the barbell and drive the legs into the floor, while simultaneously solely focusing on the power development at the finish of the movement. When done for the floor, greater bar speed and momentum is gained in the lower stages of the pull, which may mask a lifters poor power development at the explosion phase of the clean (see below). The hang clean is a complex movement that primarily works the posterior chain, however is still highly stressful to the legs, back, and core stabilizers. The below muscle groups are all active in the hang clean. Who Should Perform Hang Cleans? The hang clean is a power-based movement that can aid in overall athletic development and explosive strength in all lifters. Below are a few lifting populations who can benefit from such a movement. Strength and power athletes can use the hang clean to improve overall athleticism, power production, and explosive strength. Additionally, Olympic weightlifters can use hang cleans to maximize clean and jerk performance. 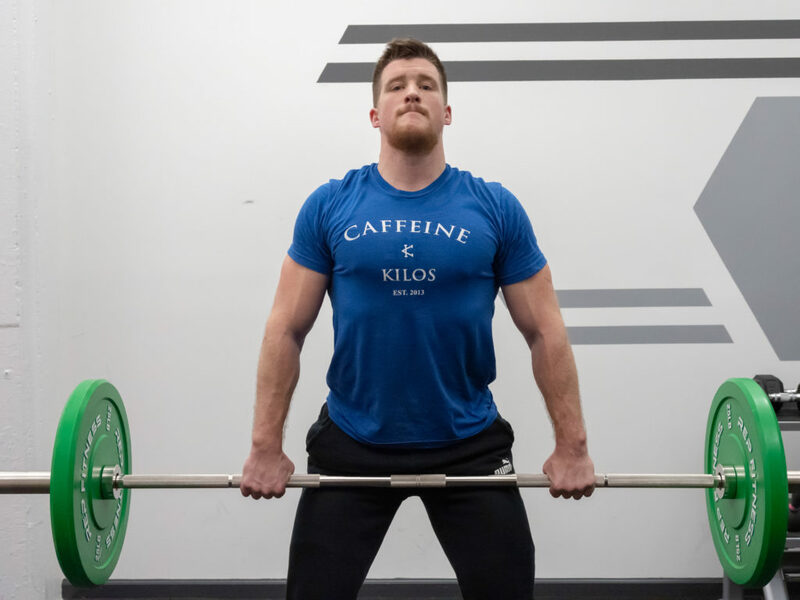 Powerlifters and Strongman Athletes: Increasing power production at the hip and legs will only allow you to move weight faster, and break through sticking points at the hip (lockout of the deadlift). While this isn’t 100% needed, it sure can help you increase overall athleticism and keep you well balance (as in performance attributes) and explosive. 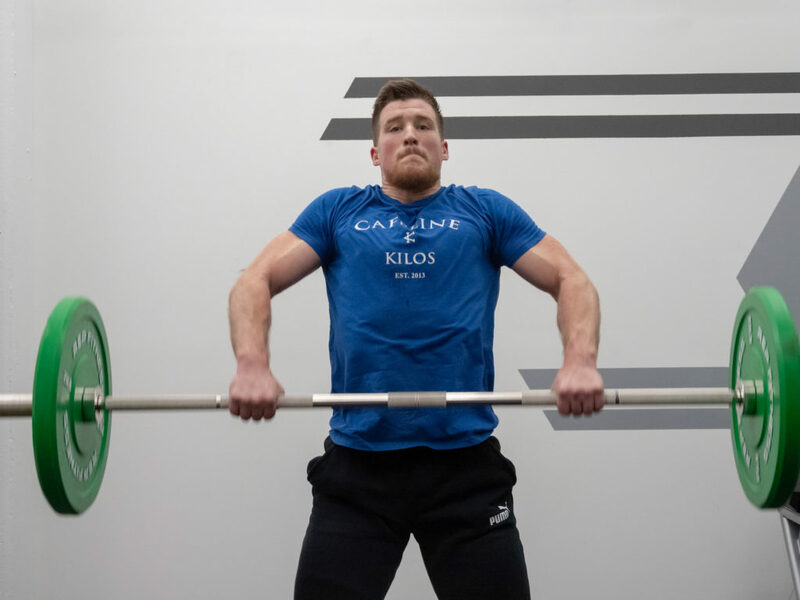 Olympic Weightlifters: This should be self explanatory, but to reiterate again, hang cleans are a direct variation of the clean and jerk, one of the two competition lifts in the sport of Olympic weightlifting. Just because you only care about being generally fit doesn’t mean you shouldn’t train like an athlete. Hang cleans are a foundational exercise that can develop power, muscle, proprioception, and increase caloric expenditure. Basically, what’s the point of being fit if you can use your new fitness? In addition, aging fitness goers can benefit from performing explosive based movements to specifically increase fast twitch muscle fibers and neurological activity, both of which tend to drop as we age. While hang cleans may be an issue with older individuals (especially if the have never done them before) due to mobility and fragility concerns, I do recommend basis explosive movements like ball slams, jumps, and even cleans with objects if hang cleans are not doable. Increased force and power output can lead to faster sprint times, longer/higher jumps, and more force production when hitting balls, throwing objects, and tackling opponents. Yes, hang cleans are a must. Below are three (3) primary training goals and programming recommendations when programming hang clean into training programs. For training technique and skill, it is best to use light to moderate loads for 3-5 repetitions, allowing an athlete to feel proper positions, maintain form, and increase explosiveness of the movement. You should emphasize positions, timing, and speed of the lift. Not loads. Below are recommendations on how to program and train for weightlifting technique and/or athletic explosiveness using the hang clean. Emphasis should be placed on precision of the positions, explosive movements, and stable receiving positions. Below are recommendations on how to program and train for strength and power using the hang clean. Heavy hang cleans can be used to increase overall clean performance, pulling power and strength, and/or to help increase the clean and jerk under heavier, near maximal loads (which itself is a skill). Below are three (3) common hang clean variations that can be done to improve performance/skill, increase strength, and more. The hang power clean is done nearly identically to the hang clean, however the lifter receives the weight in the power position (above parallel in the squat). This forces greater amounts of force development to produce enough vertical displacement on the barbell. It also is used to limit involvement of the quadriceps at times when lower body training may be too fatiguing to an athlete. The no foot hang clean is done identically to the hang clean, with the only exception being that the lifter does not lift or slide the feet after extension and while moving into the squat. The stance itself should be slightly wider at the start (squat stance) when compared to a regular hang clean. This variation forces vertical extension and balance in the pull. Below are three (3) hang clean alternatives that can be done to vary programming, challenge lifters, and more. 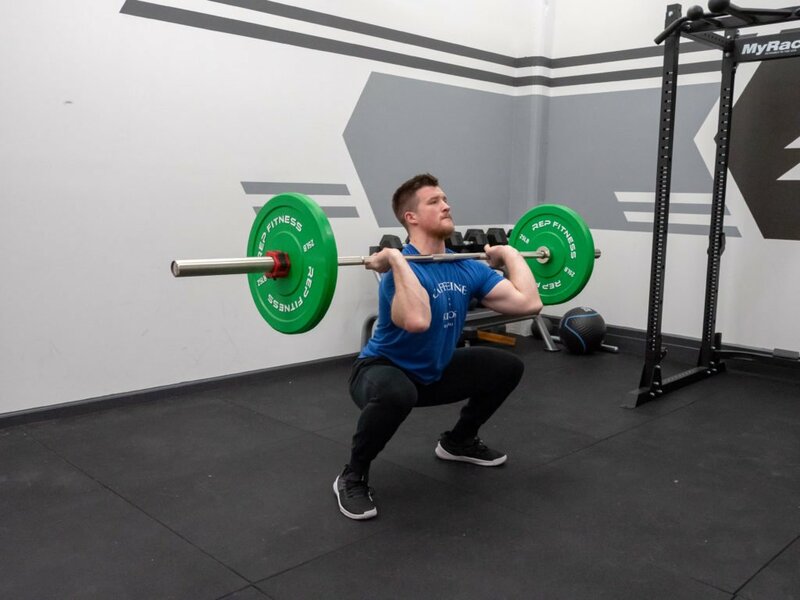 The block clean can help to increase rate of force development of the posterior chain similar to the hang clean, however lacks the overall eccentric loading of the hips and hamstrings when compared to the hand clean. The hang clean high pull is a hang clean alternative the omits the turning over of the barbell into the receiving squat position. Some coaches may choose to do this to limit wrist and shoulder stress (due to the front rack position) with some athletic populations. This is also a good alternative for lifters who may have injuries to the shoulders or wrists, yet are still looking to train. The kettlebell swing is a ballistic movement that targets many of the same joint actions and muscle groups as the hang clean (however it does not train the legs, back, or core as much due to not squatting the weight). This can be a good basic fitness exercise to introduce with lifters who may not have sufficient technique to train explosively with heavier loads. Here are some of our top weightlifting articles!